Our 2016 Fiscal Year Annual Report has been released! 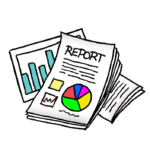 While our fiscal year ends in June, we usually release our report at the end of December just in time for the new calendar year. And what a GREAT year it has been! We were able to serve over 18,000 students, teachers, and community members, stabilize our budget, hire new staff, and more. 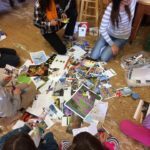 We want to share our outreach numbers, success stories, program and volunteer highlights, and financial information with our community and supporters. You can read the full report (as well as past reports) HERE. THANK YOU to everyone who made this year’s programs, events, and activities so successful. New-Year Appeal and Fundraising Goal! Happy Holidays from Willow Bend! And wow, what a year it’s been. Thanks to your support we were able to serve over 18,000 students and community members. 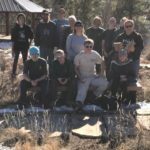 Willow Bend is Flagstaff and Coconino County’s only year-round full-time environmental education center. With ever-decreasing funding for education, we depend on partners like you. 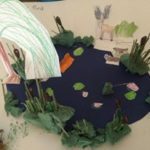 Our major source of funding comes from our supporters who understand the importance of instilling wonder and love for the environment at an early age, and recognize the value of offering award winning science-based environmental education programs for the entire community. Each person we reach through our programs costs us about $5. We are striving for another active and impactful year. Please consider making a tax deductible donation. If you recently made a donation, please accept our sincere gratitude. Please help us reach our fundraising goal of $5,000 by making a DONATION TODAY! Huge shout out to our amazing volunteers! On Sunday, December 4th high schooler and Eagle Scout Cutter Barnes and his Troupe #7033 spent the day volunteering at Willow Bend. They rolled up their sleeves, grabbed hovels and gloves and worked on getting our gardens ready for the winter. 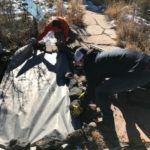 They cut back grasses that shade the Lizard Garden, removed falling branches that become a hazard during snow storms, and put down weed cloth at the Pollinator garden. They also removed debris, overgrown plants, and other obstacles from the garden paths. On behalf of Willow Bend, thank you for spending your weekend with us and making a difference. 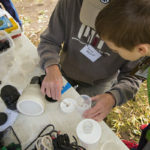 December Science Saturday a HUGE Hit! Our December Science Saturday is always a hit. 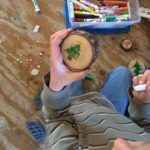 Each year we host a Sustainable Holiday event, creating fun crafts out of natural and reusable materials and displaying recycled gift wrapping ideas. 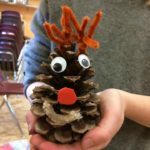 This year we made holiday cards our of recycled magazines, pine-cone ornaments, tree cookie gifts, and magnets out of reusable materials. Our sustainable gift wrapping display featured alternative materials including magazines, reusable bags, scarves, chip bags, reusable containers and more. We had over 100 participants during the event. Decorated tree cookies make the perfect gifts! Since the event was so much fun, we decided to continue it for our programs with the Boys and Girls Club of Flagstaff the following week. 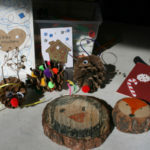 We can conclude: the sustainable holiday crafts program was a huge success! Wow, time just flies when you are having fun! It has been a while since we updated our blog. But don’t mistake that with “nothing is happening over at Willow Bend”. Actually A LOT has happened and is happening on a weekly basis. Its hard to put 6 months into one post (really 6 months? has it been that long since we wrote a blog post?). July-August: July marked the beginning of our new fiscal year. 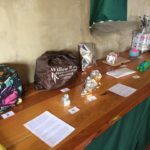 We kick started it with an appeal and a fundraising goal of $2,000. Which, thanks to the help of our amazing friends and supporters, we were able to reach. 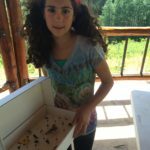 We also had our second Bug Camp in partnership with Merriam Powell Institute, had a Plants and Pollinators and Geology Science Saturdays, continued our Picture Canyon and Downtown Geology free community guided tours, led programs and field trips with the Boys and Girls Club, and had wonderful adult workshops with Mike Masek and Mike Dechter. September-October: Gosh these two months were super busy. 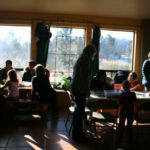 We had over 100 participants attend our Colorado River Days Science Saturday. 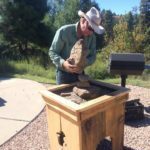 We co-hosted the Annual Back West Celebration of Stone Balancing, in partnership with the Coconino Center for the Arts and artist Pieter Schaafsma. We had lots of fun tabling at Science in the Park and had our special Science Festival recycling center tour. 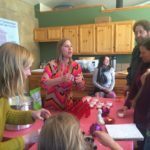 We had two teacher workshops, one focusing on Flagstaff Open Space, and the other on Alternative Energy, held in support from Winds for Schools and Prometheus Solar. We also launched a food focused Adult Workshop series with Foodlink, that included Canning, Acorn Processing, and a workshop that was All About Apples! But perhaps the highlight of our community events was the Bioblitz at Frances Short Pond. You can see a short video about that HERE. We also began working in the schools again (after the long summer break). 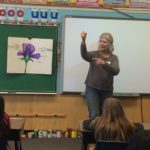 In addition to the regular classes and field trips we offer, we also started a new invasive species focused program, in partnership with the Arboretum at Flagstaff, free 3rd grade field trips to Picture Canyon and recycling programs for 4th graders in a partnership and funding from the the City of Flagstaff Sustainability Section. And, we enhanced our Rio De Flag program through generous funding from the AZ Community Foundation of Flagstaff and partners. November: This is usually our slow month. 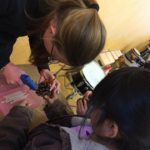 However, this November was packed with in-class programs, community events, and workshops. 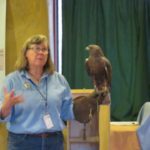 We started the month with our AZ Wildlife Family Science programs, hosting LIVE animals at Willow Bend with the AZ Game and Fish Department and Adobe Wildlife. 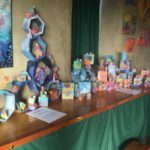 We continued our recycling center tours, and had a beautiful endangered species art exhibition, featuring local artist Frederica Hall. We also had our annual Board Retreat, and between us, I think our board had way too much fun! Just before Thanks Giving, we also had to deal with an unfortunate incident. 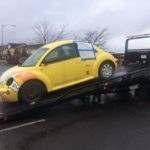 Our beloved Biobug was vandalized, but the community REALLY came forward in support! Now we are in December (how did that happen?)! 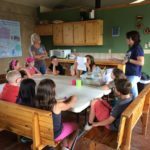 Our resolution for the New Year is to pick up our blog posting again and keep you updated with great stories from Willow Bend. July 1st marks the first day of our new fiscal year and with your help, we are gearing up for another impactful year. 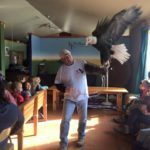 During our previous fiscal year, July 1st 2015 – June 30th 2016, we reached over 18,000 residents, students and visitors, delivering award winning environmental education programming! 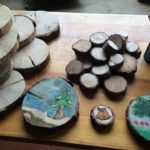 Each child we teach and every community member we reach costs us an estimated $5.With ever decreasing funding for education we depend on our members and friends, who understand and value the importance of environmental education. Please consider making a tax-deductible donation, or joining as a member to help support our efforts. Help us reach our fundraising goal of $2,000 for the month of July! be rewarded with a Willow Bend reusable bag! 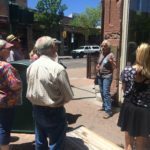 Through generous funding from Mountain Sports Flagstaff and 1% for the Planet, Willow Bend Environmental Education Center will be offering guided Downtown Geology Tours twice a month, June-August. 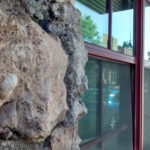 The 1 hour walking tours are based on local Flagstaff author, Marie Jackson’s Stone Landmark’s book. An exclusive and unique opportunity for the community to explore downtown like never before. Tours will be offered bi-monthly on the first Tuesday and third Saturday from June thru August. 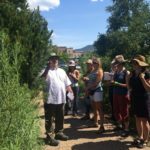 Tours will meet at 11:30am outside Mountain Sports Flagstaff 24 N. San Francisco, every first Tuesday and third Saturday of the month between June and August. Dates include, June 7th and 18th, July 5th and 16th, August 2nd and 20th. The tour is FREE and will be limited to 20 participants. Sign-up in advance with Willow Bend www.willowbendcenter.org, moran@willowbendcenter.org, or pick up a FREE ticket at Mountain Sports Flagstaff, 24 N. San Francisco. Tickets and sign-up for the entire summer are available beginning June 3rd. Comfortable walking shoes, water and a sun hat are recommended. Tour is wheelchair and stroller accessible and suitable for all ages. 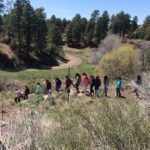 Willow Bend Environmental Education Center in partnership with the Open Space Program within the City of Flagstaff’s Sustainability Section is pleased to announce that starting in June 2016 and throughout the summer months (June-September) we will be leading FREE guided tours to Picture Canyon. Tours will last 2-3 hours and cover some of the history, ecology, geology, and archeology of Picture Canyon. 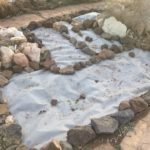 The 3-mile loop will offer viewing, photography, and educational opportunities and will cover iconic sites along the way including Flagstaff’s only waterfall, Northern Sinagua petroglyphs and dwelling sites, and the Rio de Flag. 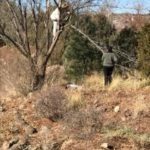 Tours will meet on the second Saturday of the month (June-September) at 9am at the Picture Canyon Trailhead off of El Paso Flagstaff Road. From downtown Flagstaff, travel west on Route 66 toward the Flagstaff Mall. Turn right on Route 66 and left on El Paso Flagstaff Road. The trailhead is approximately ½ mile down the road on the right side. 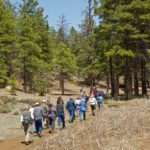 Participants will walk approximately 3 miles on uneven trails and are encouraged to wear comfortable walking shoes and bring a hat, sunscreen, and a water bottle. The tour is free and offered on a first come first serve basis. Families are welcome, but please note the trail is not stroller suitable, and might be a little strenuous for young children. 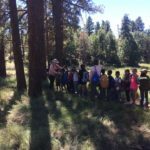 In addition to free community tours the partnership will include free guided field trips for Flagstaff schools and community groups during the school year, starting in September 2016. All trips must be scheduled in advance. 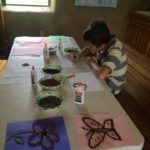 To schedule a group or class field trip contact Cassandra Roberts cassandra@willowbendcenter.org, (928) 779 1745. 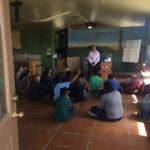 Cassandra Roberts, Willow Bend’s Educational Director, and tour guide, is excited about this opportunity, “We have been working with the Open Space Program for almost a year, and I am excited to expand our partnership and offer more opportunities for the public to get outside and learn about our beautiful natural and cultural resources”. 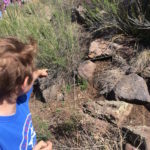 Betsy Emery, Open Space Specialist, added that the City’s Open Space Program has received a number of requests for these types of tours since the City acquired Picture Canyon in 2012. The Open Space Program is excited to partner with Willow Bend to provide the community with educational tours of the high quality Willow Bend is known for. Picture Canyon, located in northeast Flagstaff, is a natural and cultural amenity in northern Arizona, serving as a critical riparian habitat, popular recreation corridor, and home to significant cultural and archaeological resources. 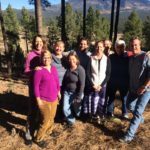 Through a 2004 voter approved Open Space bond and a 2012 Growing Smarter Grant, the City of Flagstaff successfully acquired this 477.8 acre parcel of land and is now working hard to make it accessible and enjoyable by residents and visitors. 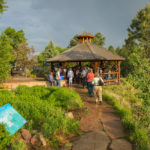 For more information about the tours please visit www.facebook.com/FlagstaffOpenSpace, or contact (928)779-1745. Join Willow Bend for a fun and casual afternoon celebrating our yearly accomplishment and upcoming plans. June marks the end of our fiscal year and July is the beginning of a new one, help us celebrate our accomplishments and kick-off our new fiscal year. Food, wine, music, and great people. 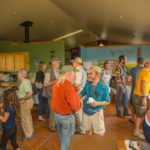 June 8th 5-7pm at Willo w Bend Environmental Education Center (703 E. Sawmill Rd. Flagstaff, az, 86001). The event is FREE* and open to the public. RSVP greatly appreciated, email Moran Henn at moran@willowbendcenter.org, or call (928) 779-1745. 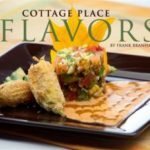 Amazing appetizers from the Cottage Place, wine, short program, silent auction (with unique and wonderful items), music, tour of the gardens, information about upcoming events, and most importantly, great people who value environmental education. *a $10 suggested donation will be greatly appreciated. 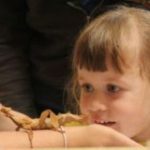 Join Willow Bend and Northern Arizona University, Merriam-Powell Center for Environmental Research for a creepy, crawly and super exciting arthropod event: It’s a Bugs Life! 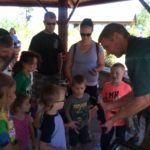 Families will learn all about these amazing little creatures, from tarantulas to beetles, and have an opportunity to see real, live bugs up close! 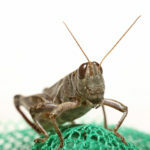 A Short educational presentation will be followed by observations of live animals. Event is open to families with children 4 and up. Sign-up required. $5/participant or FREE for Willow Bend members. More information call (928) 779-1745 or email moran@willowbendcenter.org.